We based in Rome and represent Italian style. CARE being the operative word: spouses care, our work and our decorations. 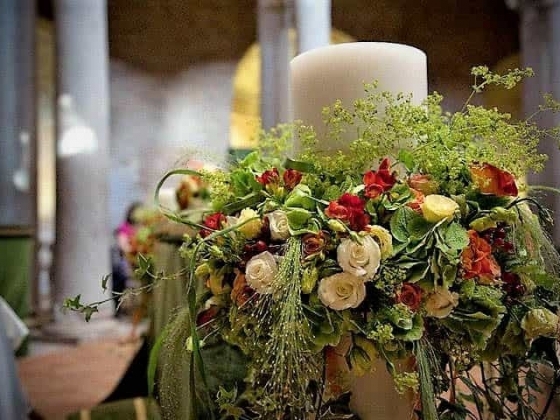 Fioriamoreefantasia has a wealth experience in themed weddings and interpreting individual styles. We have started our business since 2009 and have had the pleasure to work throughout Italy especially in Umbria & Tuscany. 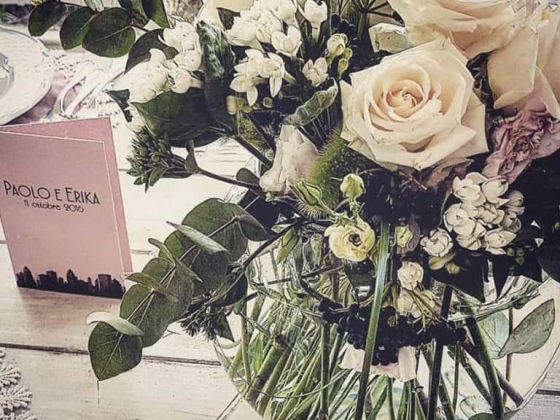 We believe that creating your wedding flowers should be an exciting and enjoyable experience, and we work hard to provide a fantastic floral design service, creating bespoke flower arrangements for your special day. 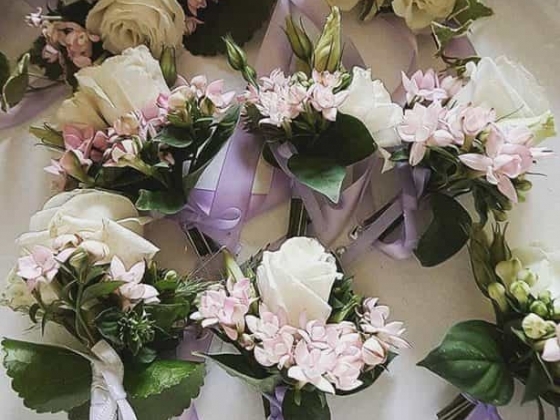 Every bride, every groom is wonderfully unique and we create whatever it is that you wish to make sure your flowers reflect your style. 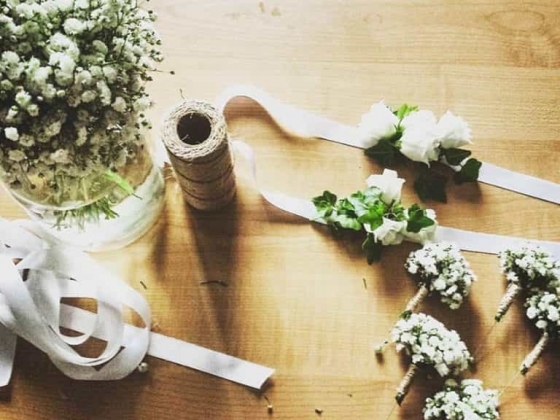 We offer valuable advice on flowers to suit your colour scheme, venue and budget to ensure your dream wedding is not only stunning but affordable. 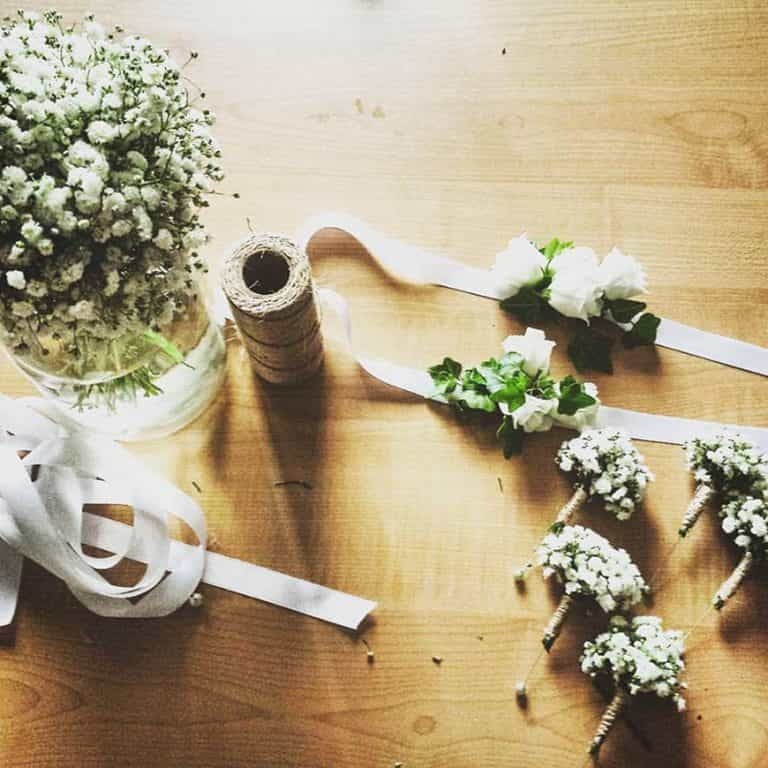 Your wedding day is special, that is why we will work exclusively for you on your day, our aim is to wow you and your guests and leave you absolutely thrilled with your flowers. Our artisanship makes us unique ad unique it will be your wedding. Viviana and her team did a wonderful job at our destination wedding in Rome - we could not have been happier. As we live in Australia, we had to communicate 100% via email - but using moodboards and pictures, Viviana helped bring to life our romantic vision perfectly. 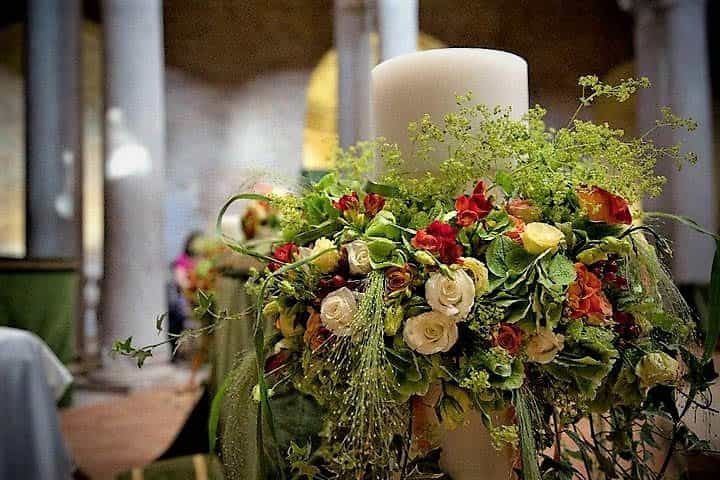 The bouquets were gorgeous, the table decorations also fabulous - but perhaps most wonderful was the decoration of the cloister... which was incredible. Perhaps most incredible of all however was the SMELL of the flowers. All of our guests commented on how wonderful the scent was! I cannot recommend Viviana and her team enough. Thank you for making our flowers so perfect. 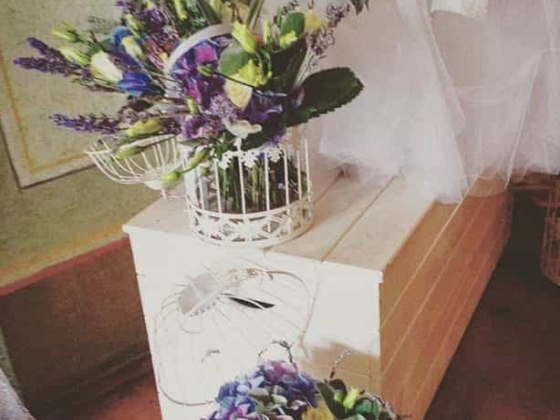 A love for " beauty "
Highly recommend Fiori Amore e Fantasia for flowers, Viviana did our wedding bouquets, ad nor, centrepiece, boutineers and also filled our crates for tables. Absolutely amazed at how perfect the flowers were, exactly what we were dreaming for and so grateful for all her help! I had the pleasure of seeing her work and really loved it. I only indicate my choice for colour and she did the rest... with creativity & love! Viviana captured the mood, tone & sentiment of my wedding perfectly. Would definitely recommend to others. Grazie Mille Viviana!!! 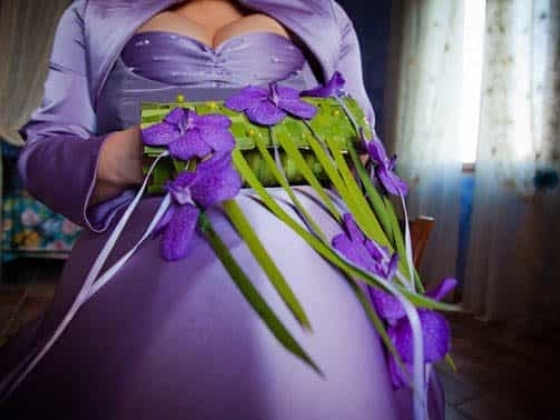 I already know how "Fiori, amore e fantasia" is used to work 'cause me and my actual wife have both decided to let Viviana (the owner) and her professional Staff to make all the flower creations for our wedding. The overall experience was totally perfect, starting from the first time we met till the last moment we saw each other at the party. They listen to all of your requests and give precious hints to create the pefect mix between what you want, what you really need and your budget. Also it is hard to find a person that is at the same time so sensible and professional as Viviana is. 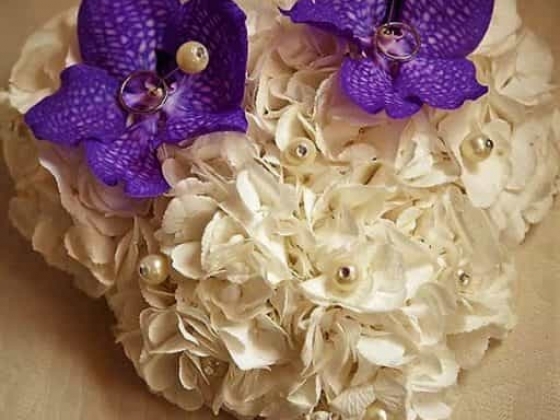 All creations are very fine and totally handmade following the bride style, the mood of the wedding and the seasons. Based on our expectations, we have just positive words for "Fiori, amore e fantasia" and we'll recommend it for sure to everybody. Our wedding is both on their Website and Facebook for every courious of the world.